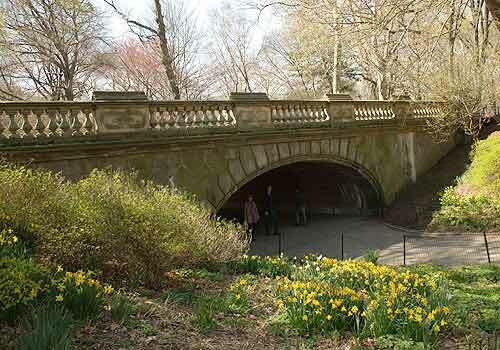 Glade Arch was among Calvert Vaux's first designed bridges and arches. Constructed in 1862, it originally carried carriage traffic to Fifth Avenue. Today it provides a wide walkway for visitors. East Side between 77th and 78th Streets just east of Cedar Hill.